Lori Thomsen of the Hruska Clinic has recently released the most recent update to our recommended shoe list. Click Here to access the list and watch a video from Lori outlining the list and how we look at shoes the way we do. Please feel free to utilize the list for yourself but if you are distributing it please keep the Hruska Clinic Name and copyright on the sheet. Thanks! Had a great weekend teaching Myokinematic Restoration with Wes Rosner and the rest of the staff at Velocity Sports Performance Southbay in Redondo Beach. Angelina Masino, Kenny Kallen and Yohei Arakaki, you guys were fantastic hosts and made sure we had everything we needed to deliver a great course to a large group of sports performance, strength and conditioning, movement and rehab professionals. Thank you to my lab assistants, Aimee Miyazawa, M.Ed, ATC, LAT, PRT and Matt Varca, DPT, PRC. You two were very helpful answering questions and assisting with exercise techniques in the lab portion of the course. The course attendees and I thank you for a job well done. Nearly 75% of the class were first time attendees and that gave us the opportunity to spend a bigger part of the morning talking about PRI theoretical considerations and to help answer any unanswered or confusing questions they may have had about our science. I always love learning how people find their way to a PRI course, because everybody has a story and every story is unique in its own unique way. This weekend reminded me how much of an honor it is to be a course instructor and to act as voice for the institute as new professionals consider the tenants of the science and the possibility of using Postural Restoration in their future. It’s a special privilege to have the undivided attention of so many talented and capable professionals who have committed their time and their resources to learning about PRI. Thank you all for your interest and for the opportunity to spend two days together learning, practicing and integrating what we learn. Thank you Aadil Ansari for traveling all the way from Connecticut to be with us. You get the furthest distance traveled award. Katie Piraino, your trip down from Alaska was a close second and the course was better because you made the effort to be here. Thanks for coming down. 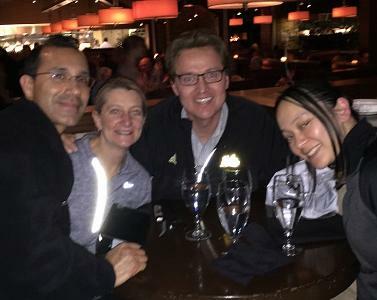 Rowena Tam and Timothy Von Behren, you two made me appreciate the value of having PT students in our courses. Locatelli Roa, your clarification questions and routine summaries of what you were learning helped the rest of us keep our thoughts together. Thanks for your participation and thank you for sharing your lunch with Matt and I on the second day. I have a new appreciation for Cuban food thanks to you. Gregg Miele and David Odom, you guys both had great insights on how PRI could be used well in performing arts, sports performance and general fitness populations. I enjoyed the class discussions and one on one discussions with you guys. Thanks for being there and thanks for sharing. John Dusel, thanks for taking time over the mid-season All-Star break to be with us. I know you travel constantly throughout the season and time on breaks is precious. I appreciate your interest. Tell Mike and Drew I appreciate the encouragement and mentorship they provide you guys. You're in a great place. All in all, it was a great two days discussing performance of the pelvis and the hips from a PRI perspective. We evaluated the unmet needs of the left side of the pelvis and compared those to the unmet needs of the right side of the pelvis using a coloring exercise and a detailed discussion of the planes of movement for each respective muscle in the pelvic girdle. This helped us determine which component of the gait cycle was deficient on the left side and also the right side and know exactly which muscles to train to resolve the problem. We learned about pathological laxity in the hip joints and about a PRI concept called "ligamentous muscle” that helps close the deal with lax hip cases. And of course, we spent time learning and practicing the Hruska Adduction Lift Test, so we could monitor our progress and learn what we needed to do to put together the incomplete components of gait. Great job to a super great group of professionals. Thank you. Thank you to the warm and gracious Therapydia team of Michelle Cotter PT, DPT, Joe Cicinelli PT, DPT, PRC, Kimberly Parker, PT, Andy Tsui, PT and Sian Smale, PT, and tour guide extraordinaire as well as all who came out to Saint Francis (San Francisco) this past weekend for Pelvis Restoration! What an engaging group of movement scientists I was able to relate with to teach pubosacral statics and dynamics this weekend. We discussed how to use objective tests to identify and establish a position and plan of care for patients requiring inhibition and facilitation to rectify overlengthened or overshortened components of polyarticular chains of muscle affecting pelvis position. Thanks Joe Cicinelli, PT, DPT, PRC for the engaging questions and lab assist during the course as well as great conversation during and after, thanks Gabe Metzger, PT for keeping the lid on the cranium after soaking this stuff up. Great, well-rounded group of newbies, "couplers" and a few seasoned vets filling in gaps. My hero of the weekend was Grace Lucuab, DPT for bringing her Hesch Institute articulating mini-pelvis into the fold, as this instructor has looked high and low for an option like this one to offer to participants in the future! Sweet! Thanks Nhon Lam, DC, was a steady contributor with excellent discussion topics, Khan Vy, CSCS for your straight-forward pragmatism, and Scott Williams, PT, for being ready to throw down and integrate Pelvis immediately after returning to clinic! So many more in a great group of contributors, thanks to each of you! We laughed a bit as we learned 'dead people move differently,' the value of taking the stick out of the spokes (inhibit) before starting to ride, and that reading is optional! 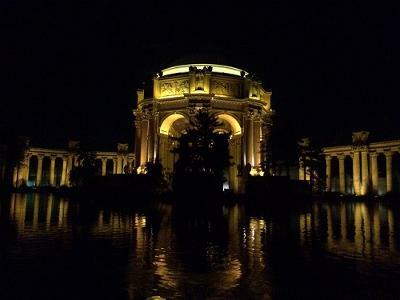 Thank you San Francisco for the journey this weekend, you left an indelible mark on your instructor. This past weekend I was fortunate enough to spend time in Atlanta with two very good friends teaching Postural Respiration: Louise Kelly DPT, PRC and James Anderson MPT, PRC. Wait! What? Me and James, together?!?! As it happened he was in town on Saturday so we got a chance to "co-teach" with Louise who patiently ran the show (in spite of James and me!). Louise is training to be the latest instructor of this class and had a fantastic group of clinicians in front of her. I want to personally thank Liz Billeter of Sovereign Rehab who was a great host. She made everyone feel at home and comfortable while we were there. Many new attendees were on hand as were many returning faces. I saw the whole crew from Austin Physical Therapy. These folks are gurus of PRI and these guys rock with Titleist Performance Institute. What a pleasure it was to see Samantha Red DPT leading her group from Georgialina Physical Therapy into this class. I suspect that Samantha, my old student, will soon be a PRC if she gets her way!! Aaron Knott and Patrick O’Shea were also on hand and these guys are really killing PRI and are soon going to wind up as PRC's as well. Sara Patterson (soon-to-be dentist?) flew out from San Francisco to be with us and we are really watching her grow in the science. I also enjoyed seeing Peter Lazarnick DC leading the chiropractic contingent. This is Peter's second course and he is really enjoying the science. I could go on and on Leigh Harris, Jeremy Stone, Polina Wilson, you guys are tops! And Amanda Orsley PTA is one of the smartest PTA's I know! Watch her! Anyway, this class was special and tight! We learned a lot about the role of the diaphragm and its influence on gait and mobility and if you are considering going to this class, I would highly recommend it! I look forward to seeing you there! New addition to the PRI Family! 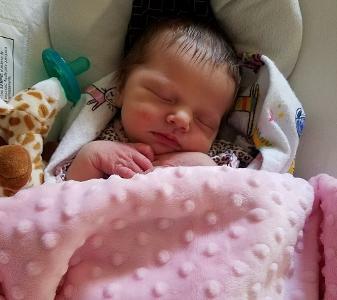 Maya (My-AH) Eliana Platt was born on Thursday, February 9th at 7:40am weighing 7lb 13oz and 20.5 inches long. Mom, dad and baby Maya are home and doing well! Message from Ron: Our ability to execute purposeful, controllable and stable movement often depends on how we use or do not use our teeth for occlusal reference. 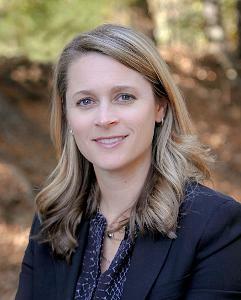 On the second day of this year’s Spring Symposium, Elizabeth Caughey, DDS will present her perspectives on how to use dental occlusion to free up or retrain over-stabilizing muscle of the head and neck. Her presentation will enlighten anyone who wants to know more about bite splints that can positively destabilize over used or programmed muscles of the neck through re-programming effort from the masticatory system and proprioception received from the teeth. Elizabeth is an energetic practitioner and I feel so honored to have her speak on a topic that she is so passionate about. I am sure she will enlighten us on how to work with dentists who are interested in reducing neck tension that often correlates with facial pain. For years dentists have treated facial pain with bite splints of every design. This talk will compare the limitations of simple dental deprogramming, against the greater goals of destabilization necessary to reduce cervical tension. We will also cover key elements of splint design needed to awaken the dental sense organ and masticatory system, for the purposes of informing the body of proprioception and how to move through space. Had a great weekend with the awesome team at Go Sports Therapy in Dallas/Fort Worth teaching Impingement & Instability to a high level group. The class included 5 PRI Credentialed professionals, with 2 of the 5 coming from the Go Sports Therapy team in Amy Goddard and Stephanie Irizarry. The other 3 were Texas standouts Jennifer Bullock, James Guzman and my fellow faculty member Sayuri Abe-Hiraishi. This doesn't even include all the great certified professionals down in and around Austin. Wow, when did Texas become so strong with PRI integration and application? Too cool. Secondary level courses always provide the opportunity to take the science of PRI to another level. And this group was ready. They were anxious to break the gait cycle into more detailed elements as they expanded their view of the all powerful frontal plane. They welcomed the neurological discussion associated with PRI Reference Centers and learned that right dominant breathing, patterned polyarticular muscle chains and an inability to perceive the left hemisphere and the left ground lead to a powerful PRI phenomena called Lateralization. This concept was discussed in context with calcaneal instability, patellar instability, Ilial instability and scapular instability. The demos were awesome, mostly because of the willing participation of guys like "K2" Kanno and "Q" Tran. You guys were great. Also thanks to Joe Vomvas, who traveled all the way from Toronto, to John Glenn from Ohio, to Eric Bunge from South Carolina, and Lyle Danley from Arizona. Thank you for traveling so far to be with us. And also thanks to my friend Jimmy Southard in the Mariners organization, for putting out another great protégé in Lyle Danley. You're a great mentor Jimmy. 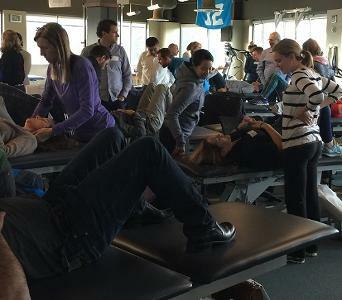 On January 28-29 I was in Seattle, Washington to teach Cervical Revolution. We had multiple disciplines represented including four very fine dentists: Owen Mandanas DDS, Jason Pehling DDS, Steve Wan DDS and Kent Moberly DDS. I want to take a minute and thank my lab assistants Erin Rajca DPT, PRC and Betsy Baker-Bold PT, OCS, CMPT, PRC. Betsy took the point on host site coordination and made the whole experience easy for me! The group over all was full of experienced clinicians with multiple PRI courses under their collective belts and I was honored and humbled to have had the opportunity to be there as a speaker for these seasoned clinicians. If you haven't taken Cervical Revolution yet, please don't put it off! Get registered. This class really helped me put things together for my patients and it answers a lot of questions. 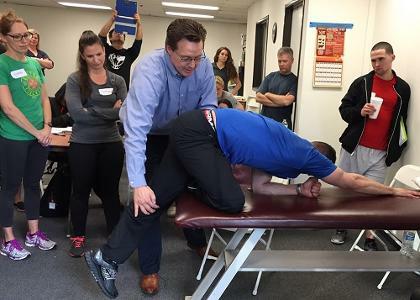 Consider Impingement and Instability as another great course that will help you in your quest. If you are intimidated by the course then I would want you to know that, thanks to Ron Hruska, much of the confusion has been sorted out and many are telling me nowadays that it is very understandable! So get registered and I hope I get to see you in the class very soon!! !